Welcome to today’s cloud-heavy Microsoft news compilation. What’s New in Remote Desktop Services for the next version of Windows Server? RDS in the next version of Windows Server builds on a strong foundation (WS2012 and WS2012 R2) and adds support for the scenarios included in this post. 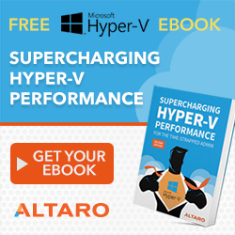 Whitepaper – Building High Performance Storage for Hyper-V Cluster on Scale-Out File Servers using Violin Windows Flash Arrays: Got lots and lots of money? I mean LOTS of money. Then this is a whitepaper for you, talking about Violin’s All Flash Array and Microsoft Windows Server 2012 R2 Scale-Out File Server Cluster. Technical Preview Step-by-Step Guide – Storage Replica: Storage Replica (SR) is a new feature that enables storage-agnostic, block-level, synchronous replication between clusters or servers for disaster recovery, as well as stretching of a failover cluster across sites for high availability. Synchronous replication enables mirroring of data in physical sites with crash-consistent volumes ensuring zero data loss at the file system level. Asynchronous replication allows site extension beyond metropolitan ranges with the possibility of data loss. Introducing the next version of Web Application Proxy: Read about additional functionality that has been added to Web Application Proxy and AD FS as part of Windows Server next version Technical Preview. Introducing the Azure Automation Runbook Gallery: The time it takes to create functional, polished runbooks is a little faster thanks to the new Azure Automation Runbook Gallery. More Changes to Azure by Scott Guthrie: Including support for static private IP support in the Azure Preview Portal, Active Directory authentication, PowerShell script converter, runbook gallery, hourly scheduling support. Microsoft Certification Test Tool Preview for Azure Certified: The Microsoft Certification Test Tool for Azure Certified is designed to provide an assessment of compliance to technical requirements as part of the Azure Certified program. The test tool includes a wizard style automated section and questionnaire section to assess characteristics of a Virtual Machine image running in Microsoft Azure and generate results logs. 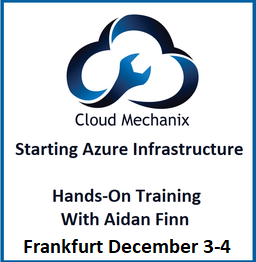 More information on the Azure Certified program is available. Announcing Support for Backup of Windows Server 2008 with Azure Backup: Due to feedback. Please note that this is x64 only and that there are system requirements. Hybrid Connection Manager ClickOnce Application: ClickOnce installer for the Hybrid Connection Manager. D-Series Performance Expectations: The new D-Series VMs provide great performance for applications needing fast, local (ephemeral) storage or a faster CPU; however, it’s important to understand a little about how the system is configured to ensure you’re getting an optimal experience. Cloud App Discovery – Now with Excel and PowerBI Support: One of the top customer requests was to be able to perform analytics on the data collected in tools like Excel and PowerBI. Now you can take cloud app discovery data offline and explore and analyze the data with tools you already know–Excel and PowerBI. A new region will open in India by the end of 2015: It makes sense; there are 1 billion people and some big corporations there. Microsoft Azure Speed Test: Which Azure region is closest to you (remember that Internet geography is different to the planet’s geography. For example, where I work is a few miles from Europe North (Dublin), but the test shows me that Europe West provides me with lower latency (beaten, obviously, by CDN). My own testing using Azure Traffic Manager with geo-dispersed websites has verified this. One-Time Passcode for Office 365 Message Encryption: With the release of One-Time Passcode. With One-Time Passcode, you don’t need to sign in with a Microsoft account to view an encrypted message. Accelerate your Office 365 adoption: Microsoft introduces the Office 365 Customer Success Center: A new website designed to help customers drive adoption and business value. Delivering the first chapter of Groups in Office 365: Take a look at this video to learn how Groups brings people together to enable better communication and collaboration across Office 365. Can Google Cloud Platform Win the Cloud Battle Against AWS and Azure? Petri’s Jeff James interviews Brian Goldfarb, head of product marketing for the Google Cloud Platform. US says it can hack into foreign-based servers without warrants: Therefore, we can hack US servers without warrants. Right? Symantec Said to Explore Split Into Security, Storage Cos: Someone please call 2008 and let them know.